The first thing we remodeled in our home was the floor. There was carpet through the entire home except kitchen. I knew I wanted dark wood floors. 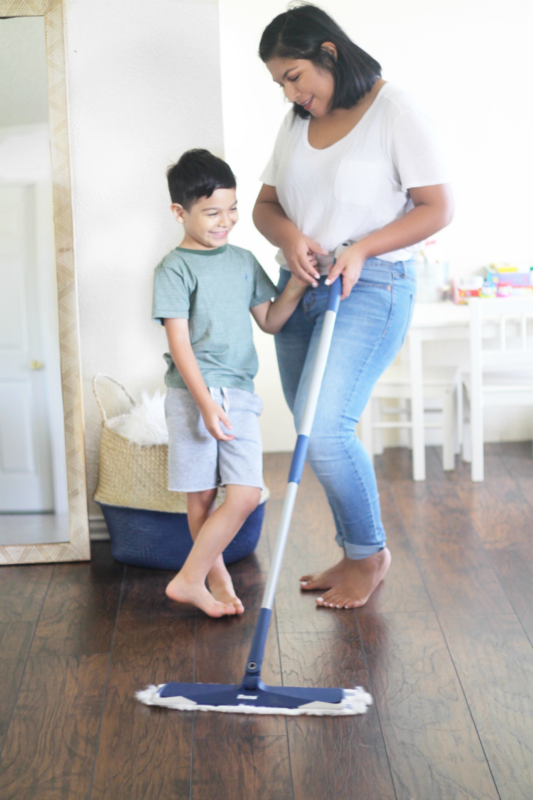 I found the perfect hickory color floor that instantly gave our home the update it needed. As much as I love hard surface floors I never imagined how much work it took to maintain them. I have to clean my floors EVERY SINGLE DAY. I have a crazy five year old running back and forth laying all over the floor meaning my floor needs to be clean. I need a product that is easy, effective, and time efficient for my home. Bona's Quick Clean System has saved my time and life! 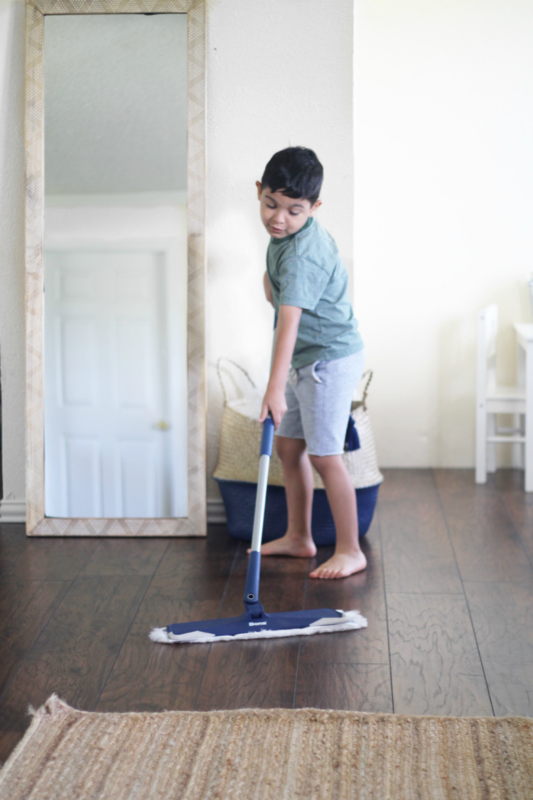 Who knew cleaning my floor could be so quick. I need a product that will pick up my hair (which ends up everywhere), rug hair (they shed like a dog), and dust that appears out of no where. 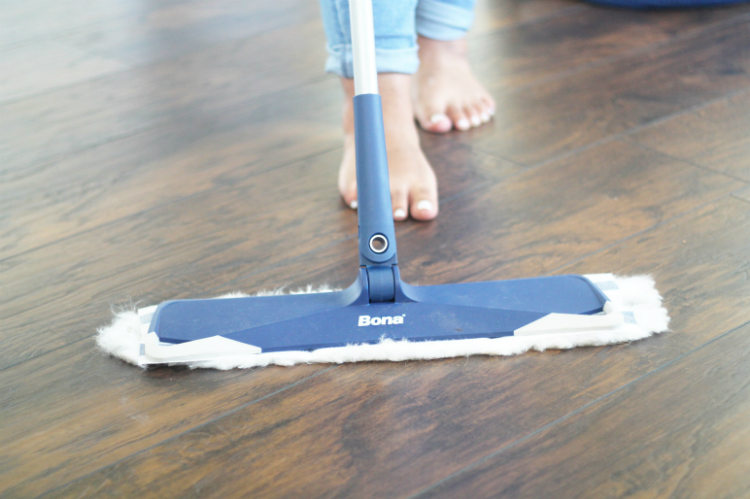 Bona's Quick Clean System gets the job done. 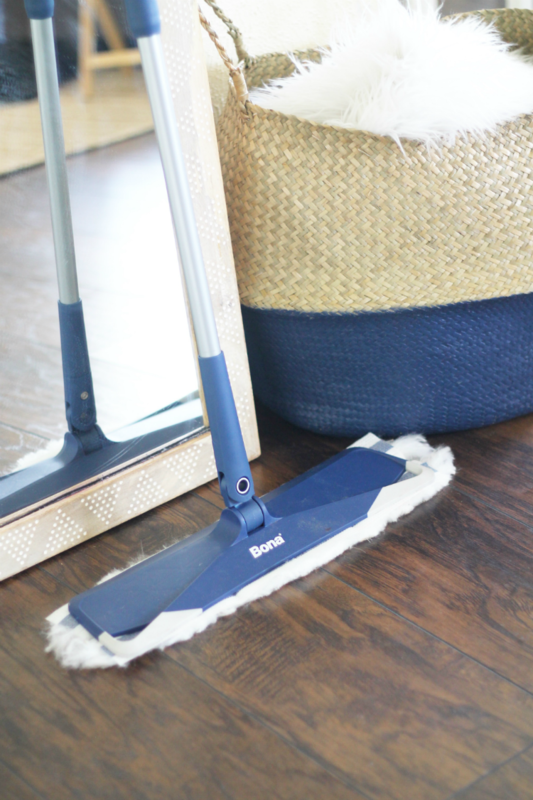 Bona® dusting pads 3D design mimics the microfiber to pick up more dust and dirt. 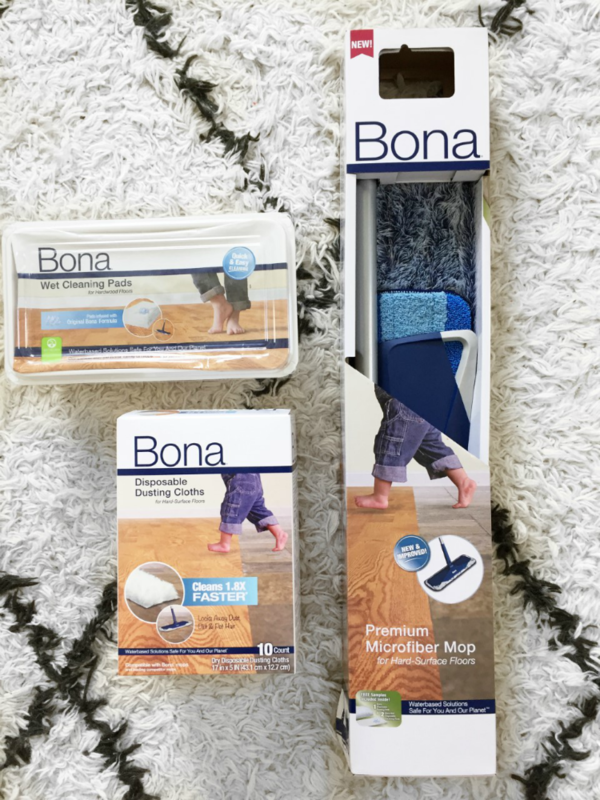 Bona® Wet Cleaning Pads is thick and infused with Bona proprietary cleaning solution designed for proper hardwood floor care. The extra large mop head helps me clean 40% faster. Leaving my floor beautiful and clean. This mama is winning! Evan even wants to join in on the fun. 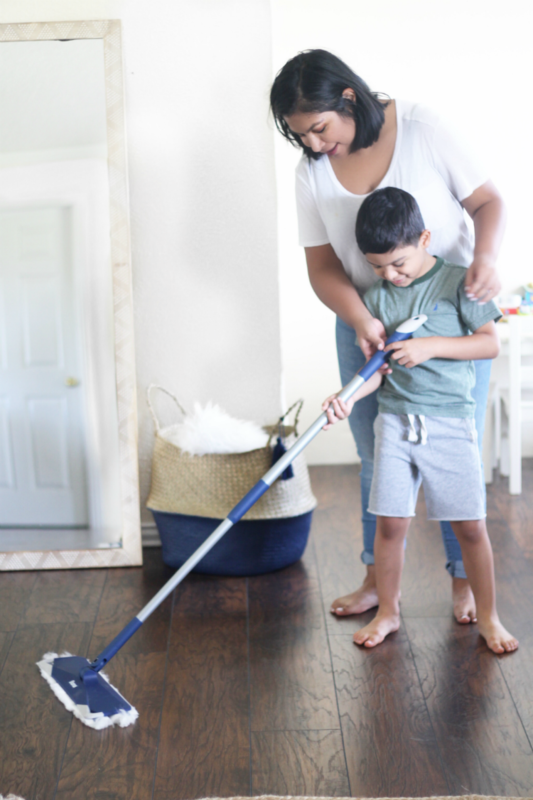 Enter this giveaway by comment down below your favorite quick cleaning tip for a chance to win a Bona Quick Clean Kit!